'The Daring Book for Girls' is the manual for everything that girls need to know - and that doesn't mean sewing buttonholes! There have been pale imitations of our 'Dangerous Book for Boys' trying to create the same for girls. But nothing has achieved that same feeling of freedom and adventure that the 'Dangerous Book' had in abundance. 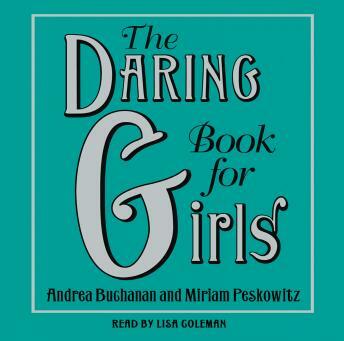 But now 'The Daring Book for Girls' will fill that gap. It is a real daring book written by real girls for real girls. And what real girls want, just look at their comments on-line, is adventure, excitement, and just as much danger as the boys. The only cooking you'll find in 'The Daring Book for Girls' is cooking over a fire, in the wilderness, while your friends tell you ghost stories to scare you witless!